Order this online gift of Finest Chocolate Selection Gift Basket and make the events of your close ones more special from miles away. 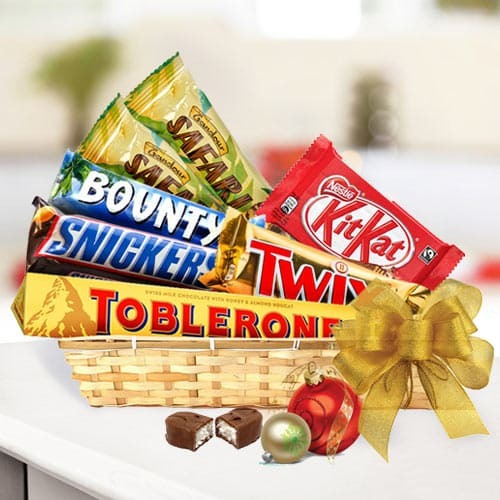 This wonderful Chocolate Gift Basket will be remembered by corporate clients, staff, friends and associates as it is composed of Toblerone Chocolate bar 50gm, Bounty, Snickers, Twix, Kit Kat and Safari 2 pc each. These whole items are presented wonderfully in a Tray.